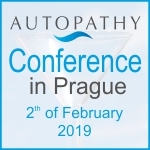 This festive event, the 11th Conference on Autopathy, had taken place on Saturday, the 2nd of February 2019 in Prague 6. 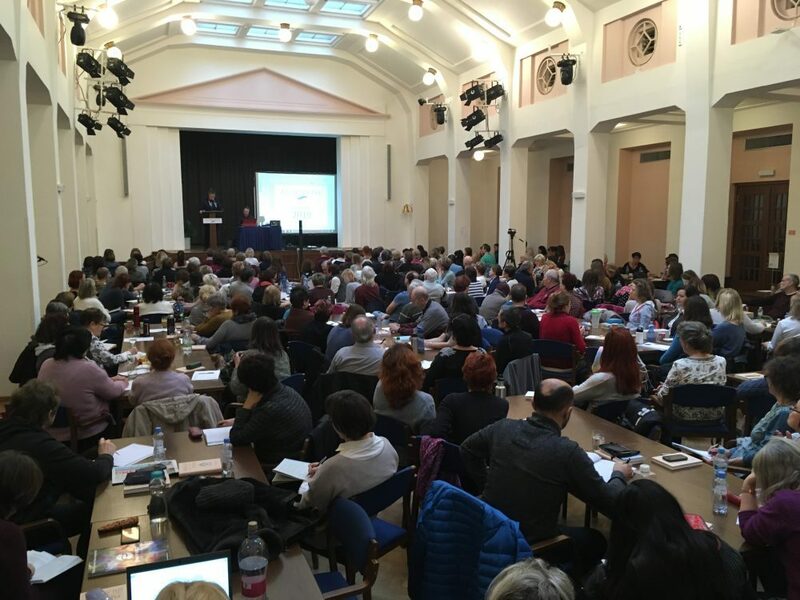 The high number of participants confirmed the trend of the last years, when more and more people became interested in autopathy, and this not only professional autopathy practitioners, but also many enthusiasts from the general public. On the premises of the Masaryk College, the team of Alternativa, whom I would like to thank here, had due to their flawless organization succeeded in creating pleasant atmosphere, in which we were able to hear 13 inspiring presentations. The specter of the lecture themes had promised already in advance a rich program connected by the topic of autopathy. Besides popular and experienced speakers like Jiri Cehovsky, Jan Matyas, Martina Kormundova, Iva Tauchmannova, Tomas Lebenhart, we were also inspired by the experiences of autopathy users. Sharing own experiences is the best form of mutual learning. The palette was completed by a lecture given by the consultant Susan Houghton, who arrived to this event from the USA. I enjoy hearing all the contributions later in the form of professional recordings, when I always discover further information and treasures, which I missed during the conference. Hear them too and make your own opinion about what is happening in autopathy. I would like to mediate here my impression from this meeting. Considering that autopathy has been since many years an inseparable part of my life, the conference is for me a wonderful opportunity to meet friends, sharing news, drawing inspiration for future work and for mutual support. I have always been fascinated, how Autopathy can open up human potential, to heal on all levels, and how this successful and very gentle method is becoming an increasingly stable part of our society. During each meeting, I see also amongst my colleagues autopathy practitioners a wonderful shift to inner stability and overall health. I am very happy that I can witness this. The subjects that I perceive in my own praxis as being actual, have appeared also here on many levels. How to make tuning of the relationship between the body and the psyche easier? How to achieve optimal tuning of the own potential and to realize it here and now? What is the natural male and female principle and how it demonstrates itself in this reality? What is the optimal approach to the support and healing of persons with oncological diseases and what are its specifics? How overhealing in some patients of standard medicine complicates their return to health? How to use best the possibilities that Autopathy as a method offers? What has proved to be successful and what has not? How not to lose oneself in the wish to help and how to keep objectivity? How to be a good therapist of one’s own ailments? How can I with the help of Autopathy harmonize myself, my relationships and my environment? I value with all respect the contribution of Jiri Cehovsky, the founder of Autopathy, who with immense effort represents Autopathy here and in the world, and thanks to whom Autopathy continues to be a living and independent method, a method which is always developing and freely accessible, which makes it an ideal tool for healing of many people. His wide publication activity makes Autopathy and information about it accessible to all who need it. Although his contribution is still undervalued (I am still waiting for the Nobel prize for him), in spite of this small wrong, he remains to be an open, natural, kind and modest person. The one who systematizes and clarifies Autopathy, and on the basis of rich empirical experience and with his personal authority and calmness presents it in the media is Jan Matyas, who has been moderating this conference and held the closing lecture. A born teacher with a feeling for detail, who never lacks objectivity, and who is able to make the basic principles, laws and possibilities of autopathic healing visible to others.